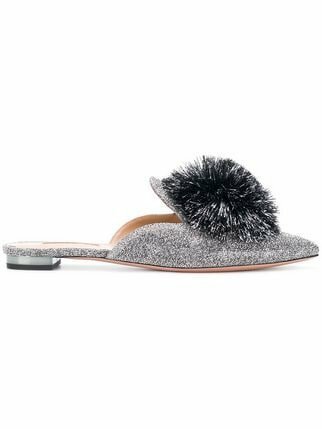 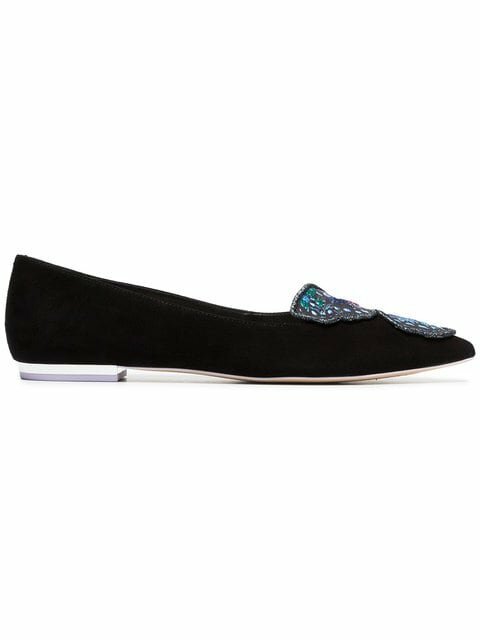 Silver leather Powder Puff flats from Aquazzura featuring a backless design, a pointed toe, a pompom detail, a low heel and a flat leather sole. 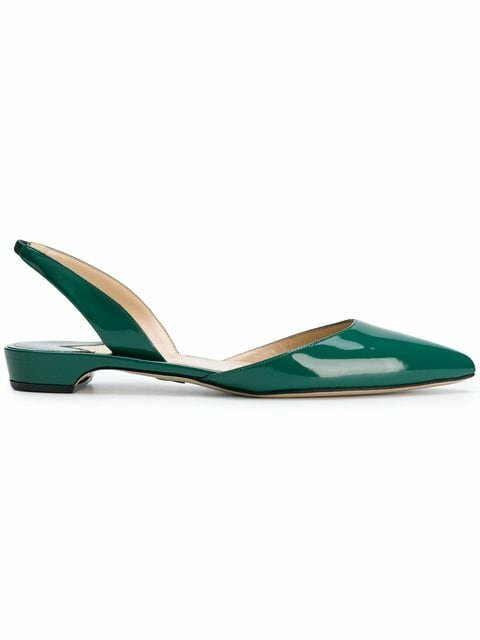 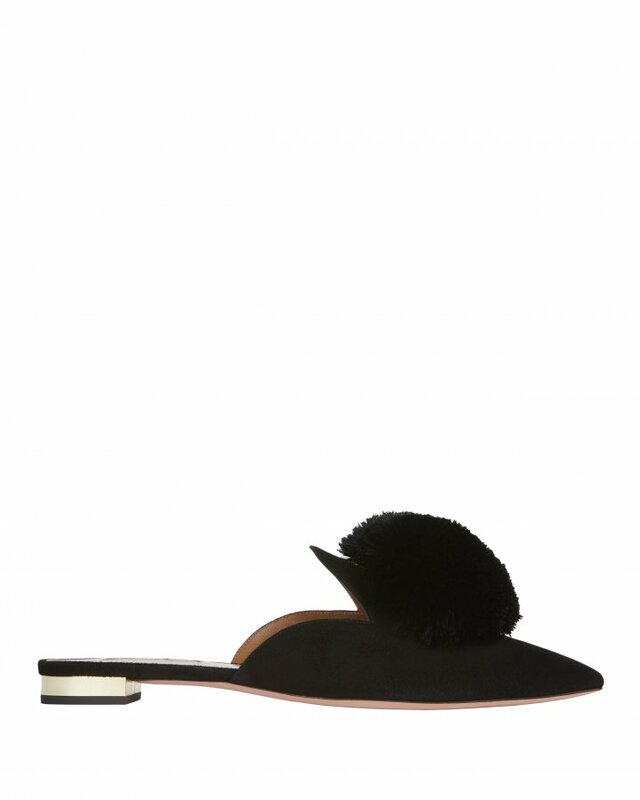 Green goat skin Rhea slingback flats from Paul Andrew. 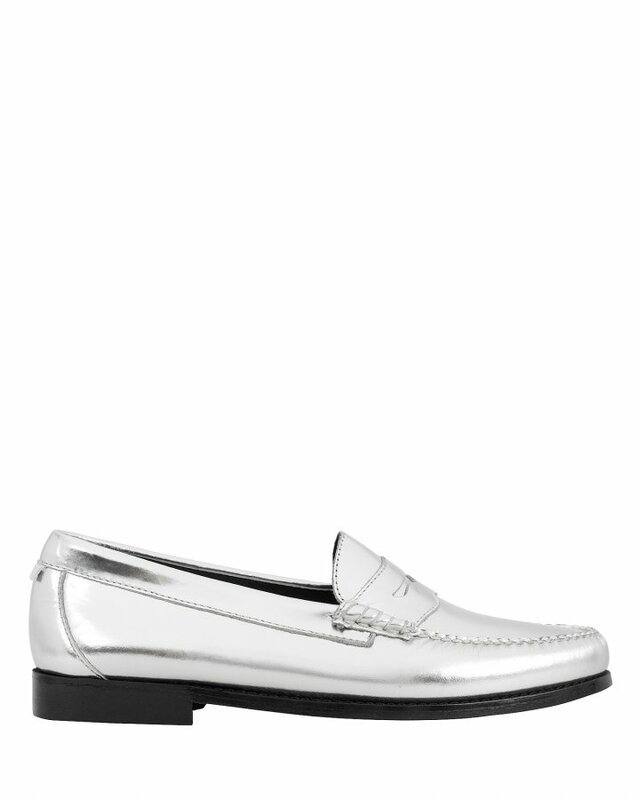 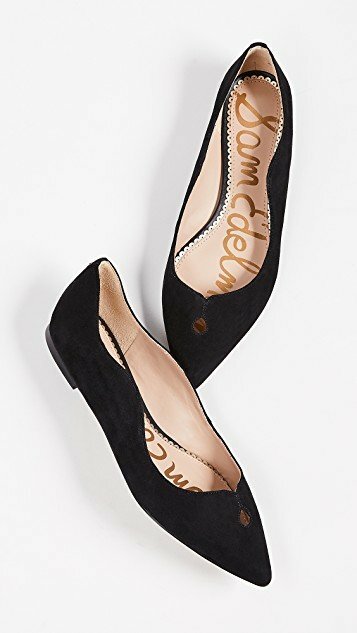 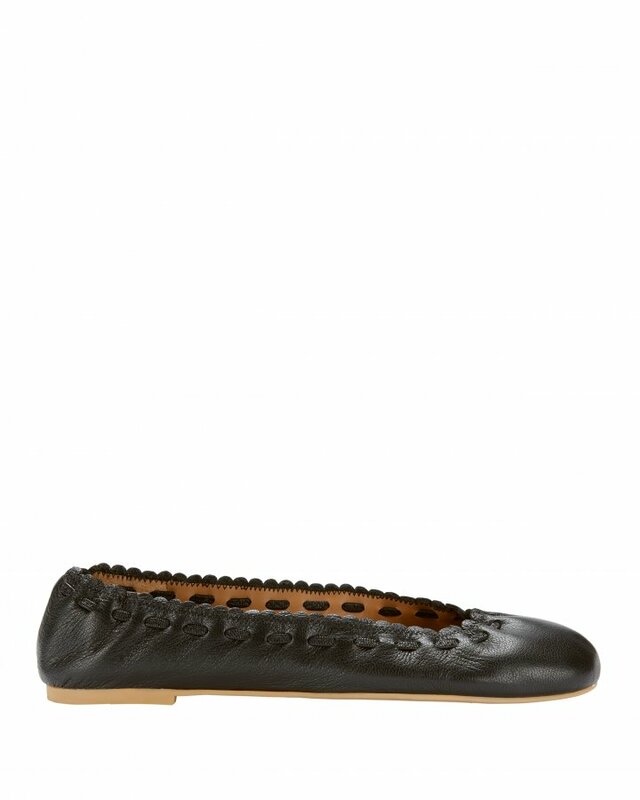 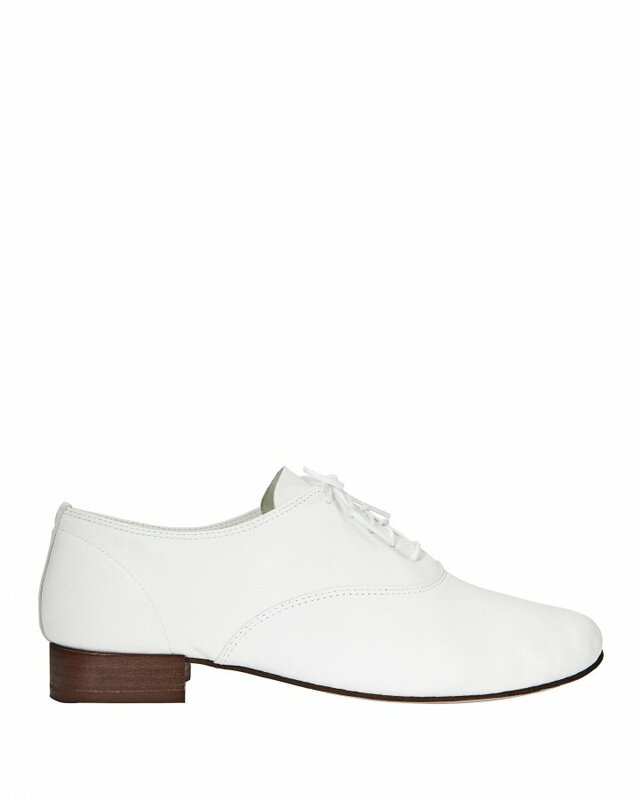 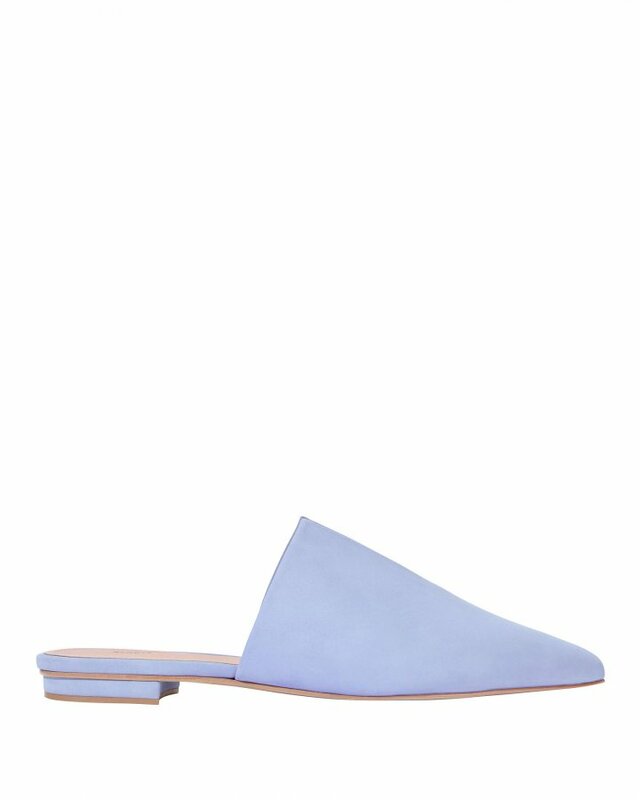 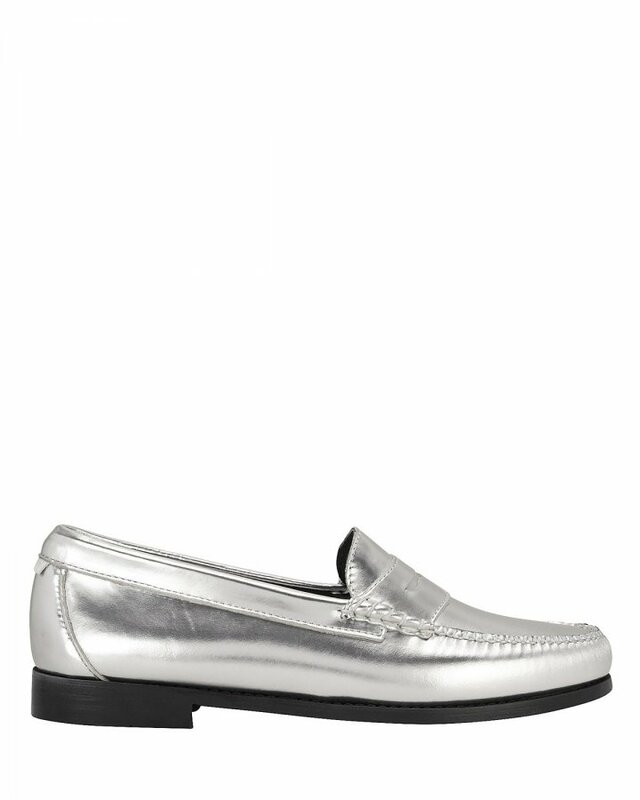 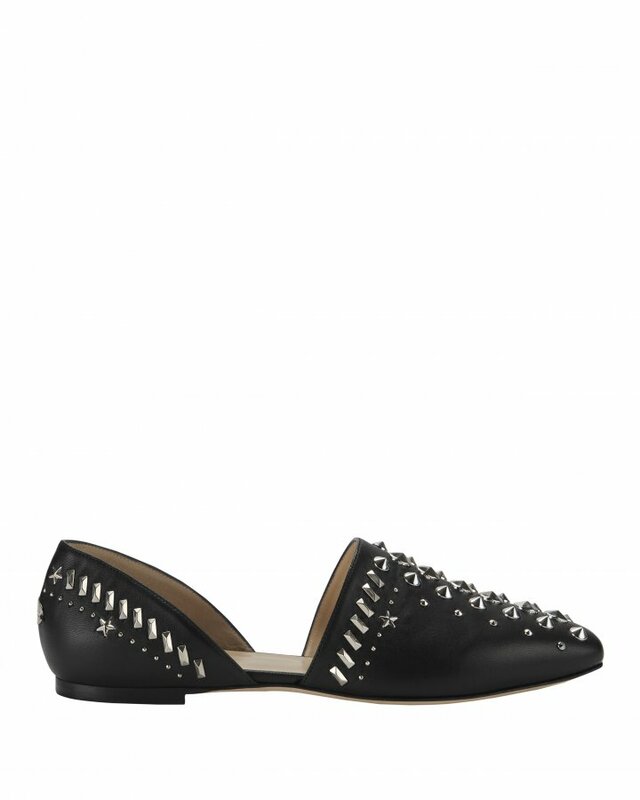 Free shipping and returns on Gucci Princetown Loafer Mule (Women) at Nordstrom.com. 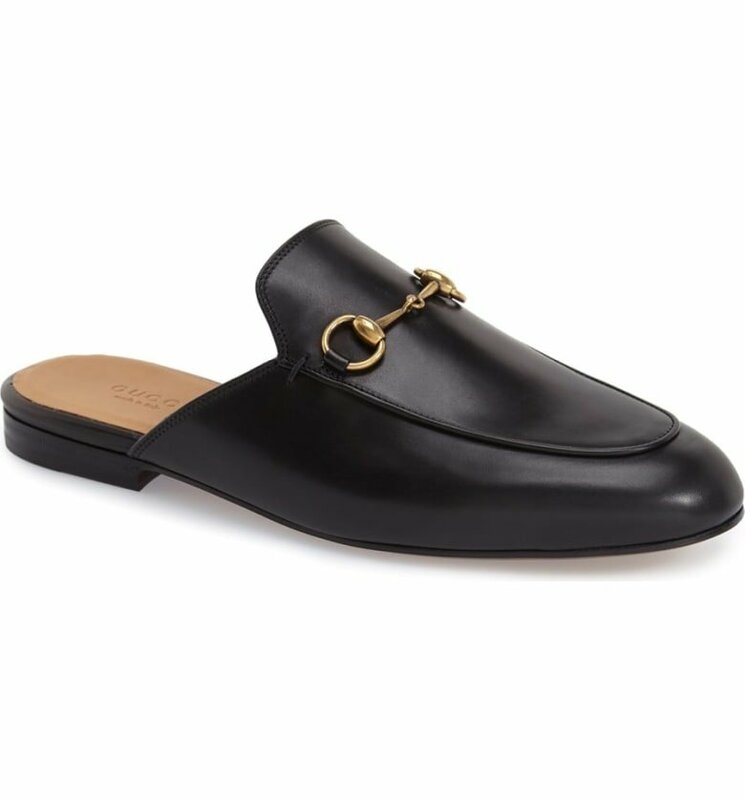 Signature goldtone horsebit hardware hearkens back to Gucci's heritage on a classic loafer updated in a sleek, slip-on mule silhouette. 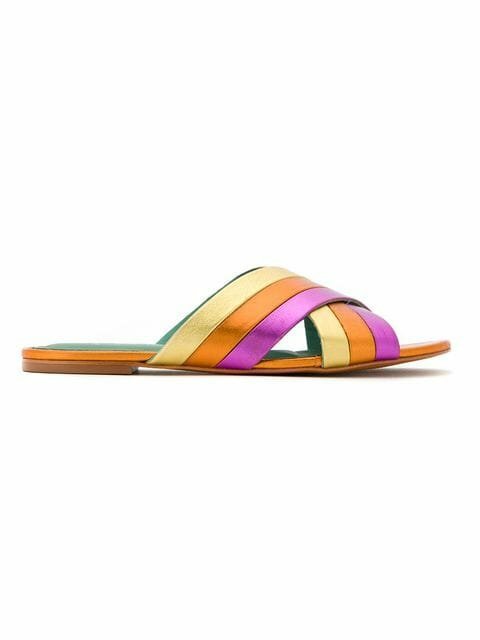 Pink, orange and gold-tone metallic leather Rainbow flats from Blue Bird Shoes featuring crossover straps to the front and a flat heel. 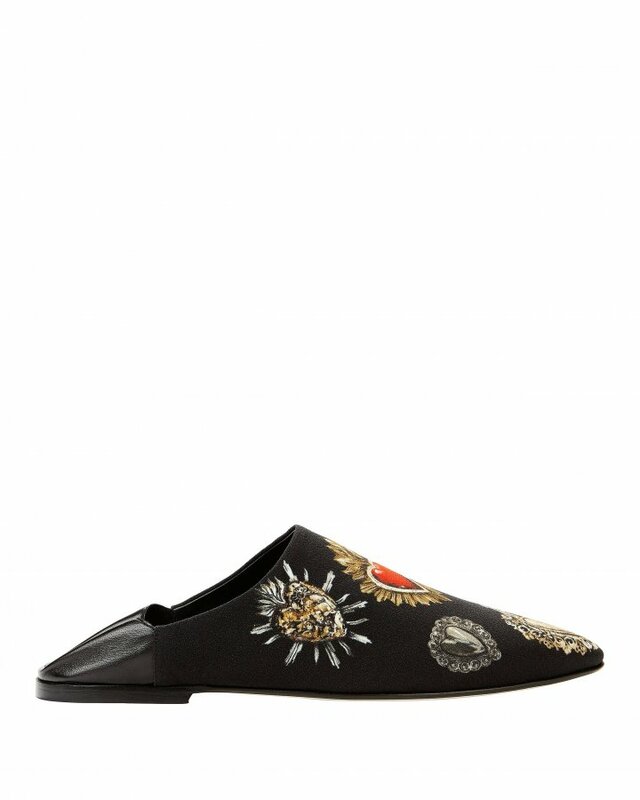 black and multicoloured Bibi Butterfly embroidered suede flats from Sophia Webster. 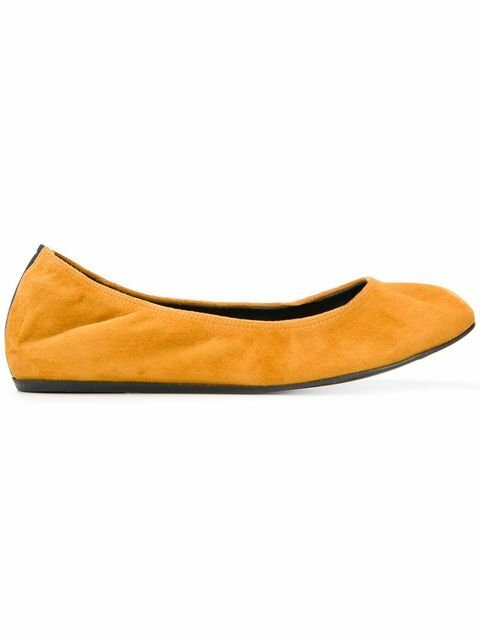 Saffron suede, leather and bos taurus ballerina flats from Lanvin.